1. I had no idea how much work it would be: I always thought parenting would be work, but I never really understood the extent of it. I never considered the immensity of laundry and dishes or the fact that all the fun things I did as a kid were a lot of work for my parents. 2. I had no idea how much fun it would be: Just like I had no idea about the level of work parenting would require, I never really understood how much fun it would be either. I never anticipated how much joy I could find in the simplest things with my kids. 3. A little mess is okay (Who am I kidding, a lot of mess is okay. ): I’ve learned that kids are messy, and 5 kids are even more messy, and that is okay. I’ve learned that clutter is normal and it provides a perfect foundation for the kids to learn to clean up after themselves, and for me to learn patience. 4. You can love the 5th as much as the first. Love multiplies: With each child I ask myself before they arrive, “Can I really love this child as much as the ones that are already with us?” The answer is a resounding, “Yes!” They are all so different and yet there is enough love for each and every one of them. 5. The Nap Nazi is gone: All parents have some kind of preconceived notion of things that “my child will never… or my child will always…” do. Naps were one of those things that I thought I had a lot more control over than I actually do. Sleep is essential and I definitely have learned some important things about bedtimes and nap routines, but also that ultimately, I can’t MAKE them sleep. Again, that’s okay. The less we force, the more we can positively influence. 6. Me time, what’s that. (Take me time, if it’s just 5 min. in the bathroom): Me time is what college was for. I’ve learned that there is very little time that we can solely call our own, and yet finding a few minutes here or there is still important. Whether it’s in the bathroom, a quick walk around the house or something else, just a few minutes can make a difference. 7. One kid was easy: It didn’t feel that way when we had our first, but in retrospect, one child was a piece of cake. 8. Control is an illusion: One of the most important things I’ve learned is that the more I try to force my children to do “the right thing” or what I want, the less control I actually have. Even when we THINK we have control of others (our kids), it is an illusion. We can only influence. 9. It’s okay, I have done it, I can do it and I will continue to do it: I have dealt with a lot of hard things over the past 10 years, raising 5 children. I have done things that I didn’t know I could or would ever do. Anytime I have something difficult arise, I remember that I’ve done it before and I can do it again. 10. Dishes, cleaning up and laundry are ongoing tasks, so chill out and just get them done: House work is never ending. When we just accept that, we can just move on. 11. Add 15 minutes onto everything you need to get done (leaving house, shopping, etc. ): I wrote a post a while back entitled, “How to Get the Kids Ready and Out of the House in 50 Easy Steps,” that chronicles the adventure of getting multiple children out of the house. It’s helpful to realize that you need to add at least 15 minutes or more to shared tasks with your children. 12. Don’t sweat the developmental stuff: Kids move at their own pace, and while severe delays in developmental learning and growth are important to check into, most things we worry about are not a big deal. 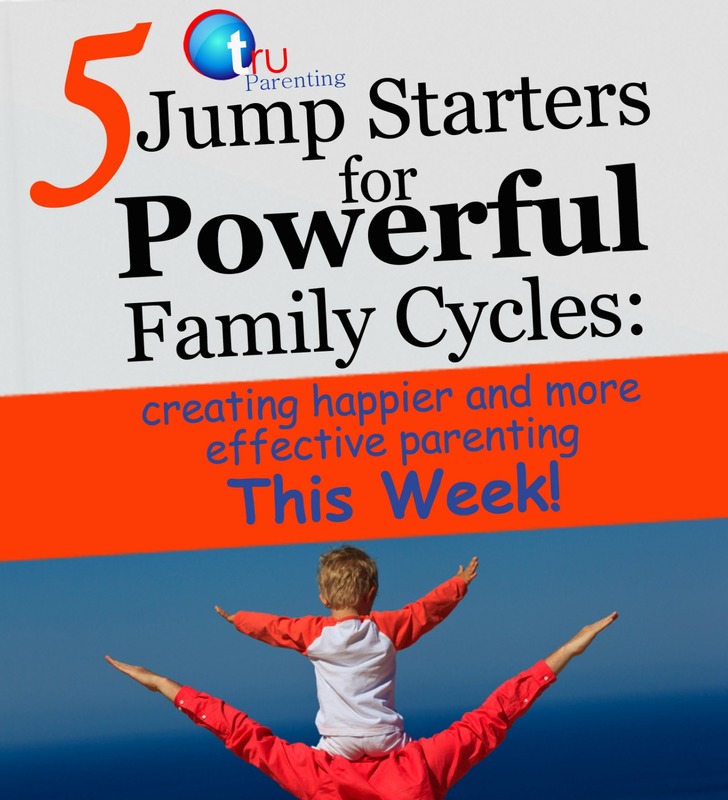 We fret about potty training, early academic performance and many other things that will happen in their own time. I don’t need my child to be the best at everything. 13. Moderation in all things: Temperance and moderation are your greatest allies as parents. Extremes in everything from our disciplinary approach to what we feed our kids are almost never a good thing. 14. 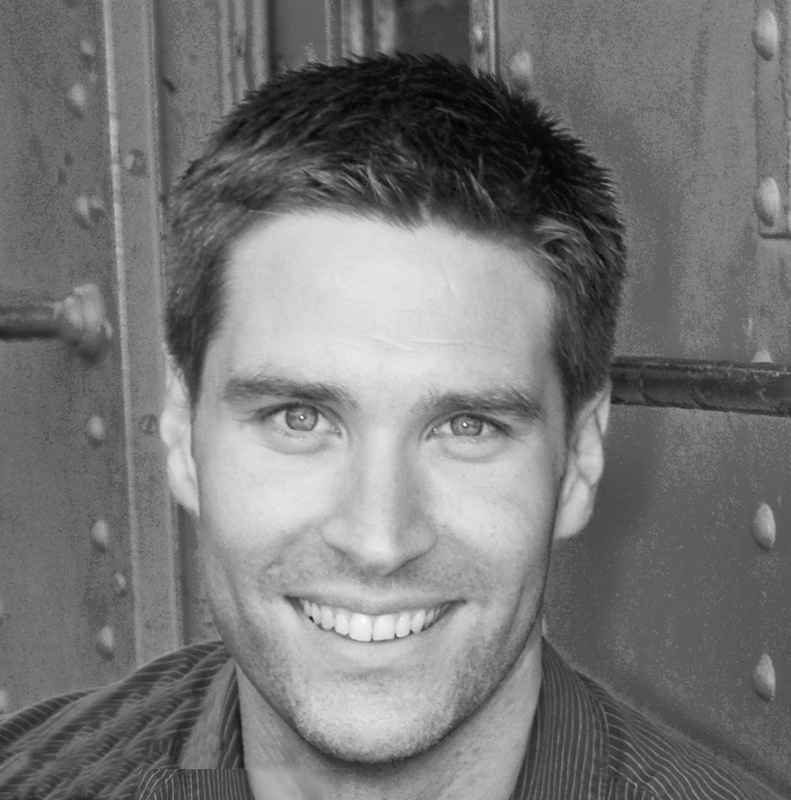 Kids and relationships are more important than things: My kids have broken a lot of things. The walls of my house are pocked, chipped, scribbled on and covered in foot and hand prints. Some of our books are colored in. Some of the things that have been destroyed are more valuable than others, but none of them are as valuable as my children. 15. Reading is one of the best activities for raising kids: Reading with your child serves so many wonderful purposes as a parent. It is a bonding, teaching and self developing activity all in one. 16. Include kids in the decisions, rules, etc. : I think we go into being a parent thinking that our word will be the final word all the time. “My way or the highway” has no place in parenting. 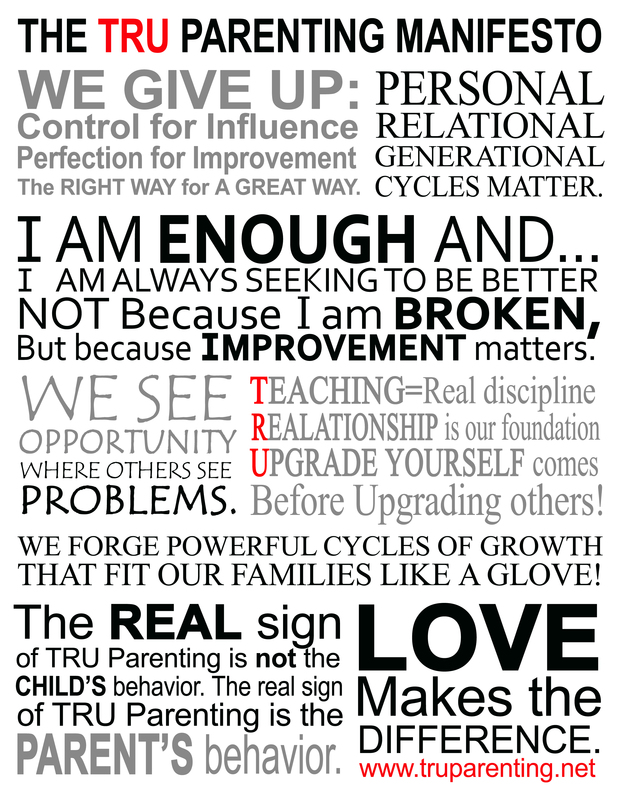 When we include our children in establishing the rules, decisions and plans as they grow up, we all learn and grow. 17. Look before sitting on the toilet. (Just wipe the toilet seat and move on. ): I have 4 boys… Enough said. 18. It helps to wake before the kids do. (Find your smile before they wake up): Our day goes a hundred times better when we get up and start our day before the kids do. 19. Serving people cheerfully bonds you to them and them to you: There is no one else in the world I feel closer and more bonded to than my wife and children. I believe it is because there is no one else in the world I have served without expectation of reciprocation. 20. Novelty and spontaneity make things fun: Kids love when you switch things up. Breakfast for dinner, a party for no reason, or a night out alone with Dad can go a long way to inject new life into a relationship. It also makes the monotonous routines of day to day life a little more fun. 21. Routine makes things sane: It’s true that novelty makes things fun, but novelty is not novel without solid and safe structure and routines in place. Routines help mornings and evenings go so much easier. They give us and the kids security. 22. You can learn a lot from the kids, so sometimes just listen: Stephen R. Covey said, “Most people do not listen with the intent to understand. They listen with the intent to reply.” (7 Habits of Highly Effective People.) Life with kids changes for the better when we truly understand and listen to them. 23. Play is usually hard work as a parent, but it’s worth it: Play sometimes can be hard work because it has lost its appeal with age. 24. Prayer is essential: Faith and prayer are an essential parenting skill. 25. Fashion is not important: Mismatched socks, colors and crazy hair are the norm, rather than the exception. I’ve learned that their independence is of greater value than having perfectly fashionable outfits every day. 26. Kids are injury magnets. Have a good first aid kit on hand: If you have active kids like I do, you understand this one completely. Kids are always getting hurt from the craziest things. The risk of independent, active play is no reason to keep them from it. 27. Expectations affect mood heavily: I’ve learned to balance raising performance with lowering expectation. How I think it “should” be is often not how it is. Unmet expectations can be one of our biggest triggers for disappointment, anxiety and anger as a parent. 28. Kids’ bodies are small; the noise they make is not: My kids are loud. I think a few of you reading this can probably relate. It’s just part of being a kid. I’ve found the best way to manage the noise is to either redirect them to a place where loud is more appropriate, or to lower my own voice. 29. When they are hurting, you will feel it too: Whether physically or emotionally, when my kids hurt, I do too. When my daughter got 8 stitches on her head, I felt like I was the one on the doctor’s table. When my oldest son lost his plug (pacifier), I felt his grief. 30. Learn all I can, take what’s helpful and leave what’s not: I’ve learned that everyone has an opinion about parenting. 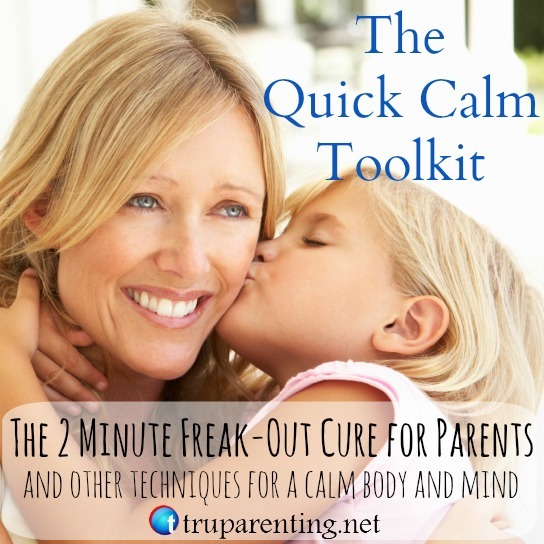 There are a million parenting programs, books and other resources out there. I’ve learned that almost all of them have something to offer that can help me be a better person and a better parent. 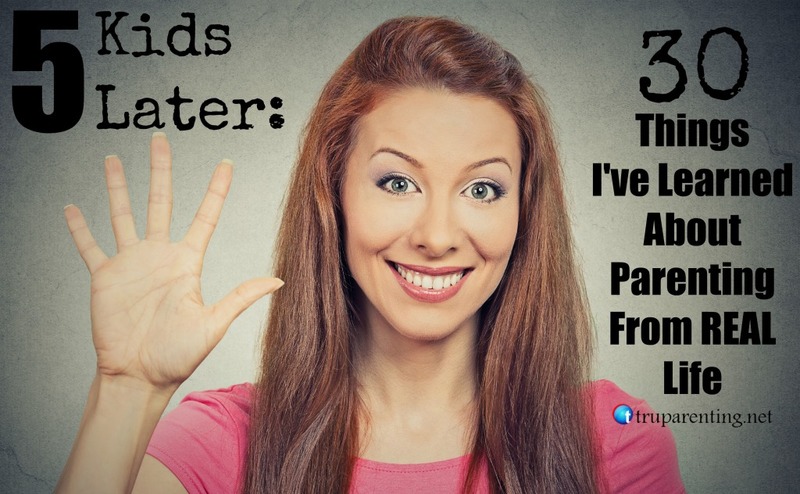 Not all parents deliver their opinions in a kind and tactful way, and not all parenting advice fits my family, but I can take what is helpful and leave what is not. Being a parent is the best education I’ve ever received. Each one of my 5 children has brought a new personality and dimension to my life and family. Each of them have enhanced my marriage and improved my life. There are things I thought I knew about life and parenting before having kids that have not only been disproven time and again, but they have simply become irrelevant. 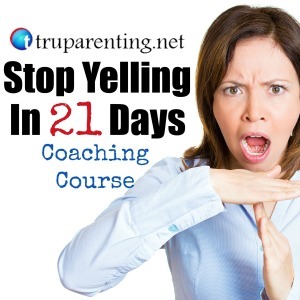 Parenting has a way of stretching and challenging you in the simplest ways. It makes you stop and see things through a new lens. What have you learned since becoming a parent? 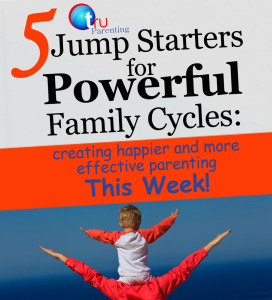 If you enjoyed this article you can get a FREE sample chapter of the TRU Parenting ebook “5 Jump Starters for Powerful Family Cycles” that will give you simple principles and tools that can help to set you and your child on the path to positive patterns of growth and happiness!